Hi! Awesome of you to "roll by" and check out this wheel-related article! Before we begin, you should know that hub centric rings may also be called either.. These are different names for the same thing, in most cases. We'll decide to use the name hub centric rings to describe them in the text/information below. 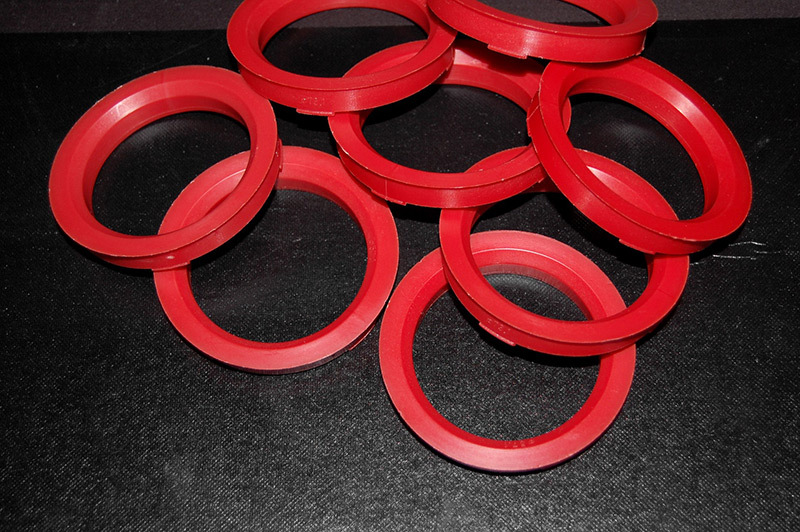 Example of plastic hub centric rings in the colour red. 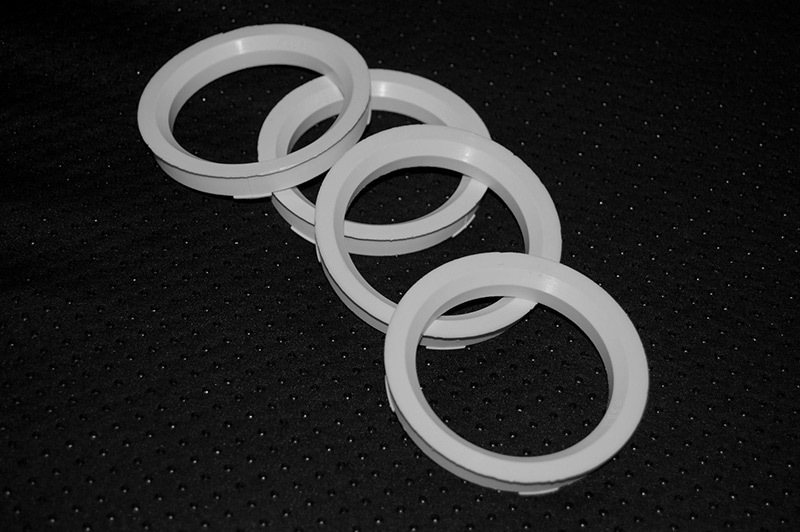 Example of plastic hub centric rings in the colour white. So, shall we solve this "mystery" about hub centric rings, what are they and what are they used for? 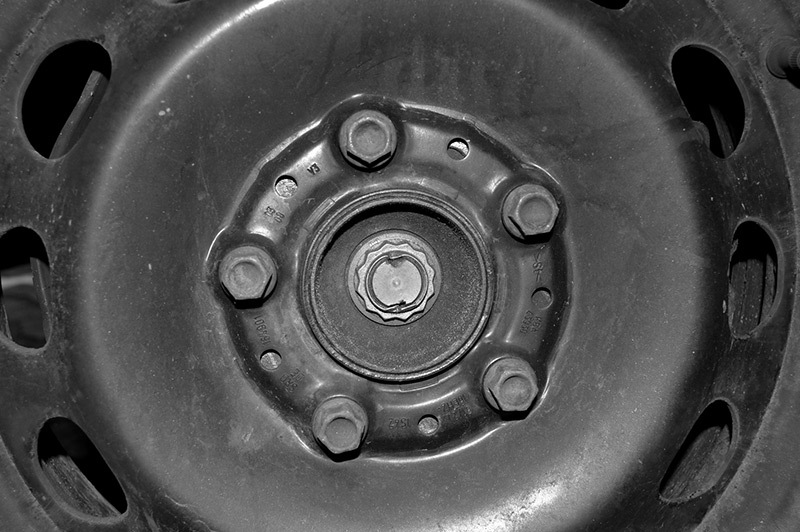 Hub centric rings are wheel fitment rings for vehicles and should be used if the center bore of the wheel (the big hole in the middle of the rim) is larger than the center bore of the car's wheel hub (the round offset in the middle of the hub). The hub centric rings will then fill the space required to make a perfect fit, simple as that basically = they convert the rim center bore to a smaller and precise measurement which matches the wheel hub. Notice that this mainly complies with aftermarket wheels or wheels used from other car makes, since OEM wheels usually fits without any rings. 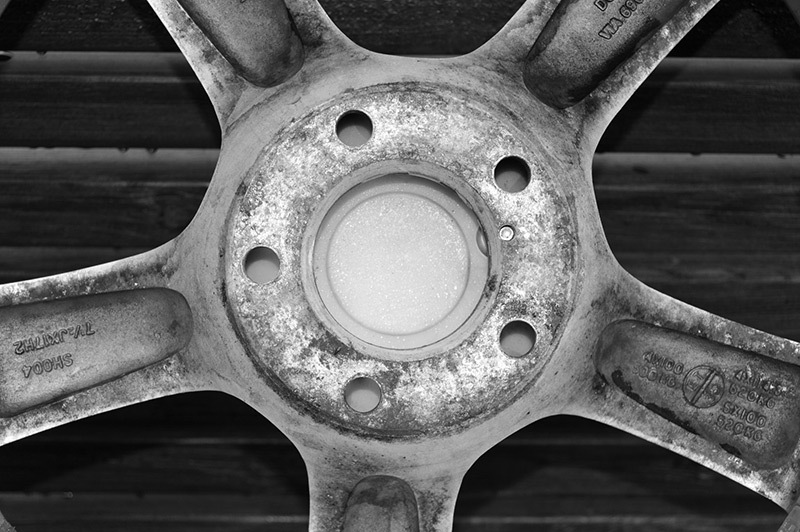 The center bore of a alloy wheel. A wheel hub from a car. And now you think, why not just fit the wheel without any rings and fasten it with the wheel bolts or lug nuts (whichever are used) when it's "kind of" centric? 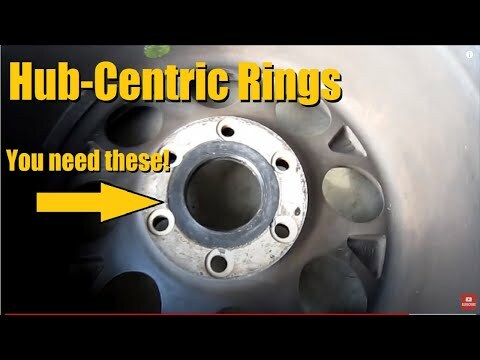 Well, you could do that, but most cars and wheels of today are designed to be "hub centric", which means they are meant to be mounted only if the rim center bore has the same diameter as the wheel hub. A hub centric design may also mean that there's a gap around the wheel bolts, etc. The wheel bolts or lug nuts of a hub centric wheel can have a flange that is either coned or flat or rounded, while a lug centric design (the wheel is centered by the lug holes) often has a coned flange regarding the wheel fasteners (bolts or nuts). So, even if you may fasten the wheel just fine when the car is jacked up (when it comes to hub centric), it will put a lot of stress to the wheel bolts/lug nuts and probably make the vehicle wobble/shake during some, if not all, speeds. 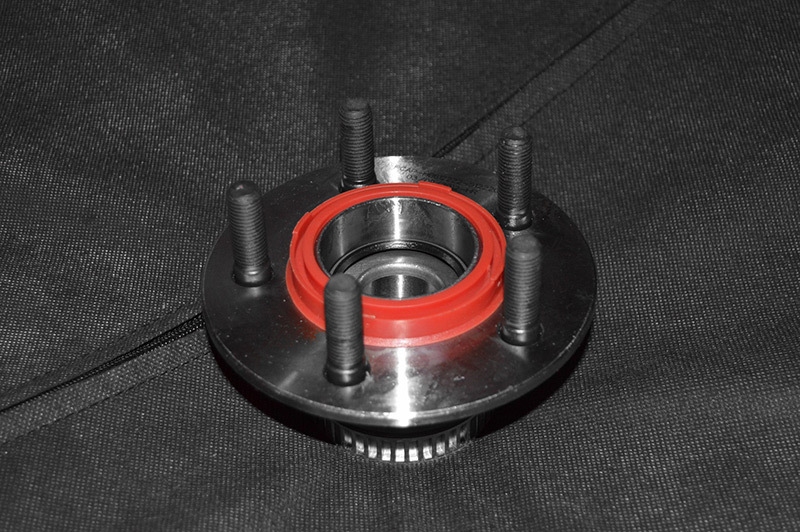 This is because a hub centric wheel is held in place (centric) by the wheel hub, while the wheel bolts or lug nuts mainly "clamps" the wheel together with the hub. The wheel hub (not the bolts) should take most of the force put vertically on the wheel. 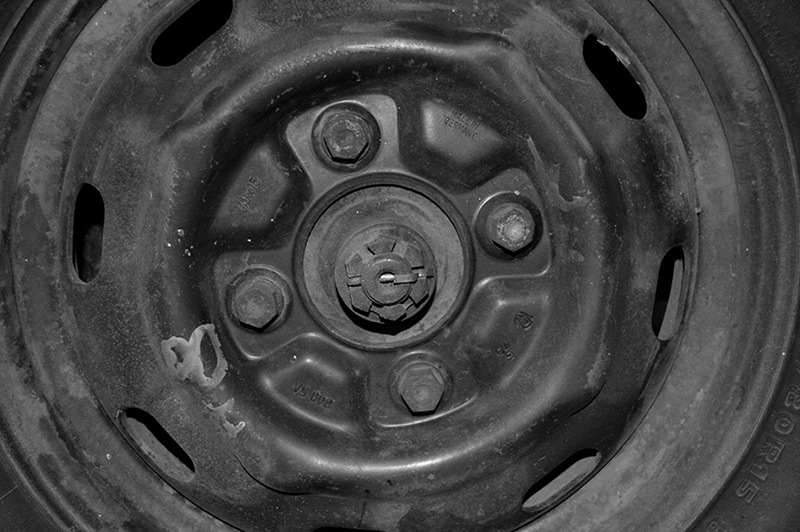 When the wheel bolts or lug nuts are put up for stress, it doesn't only mean the ride will be uncomfortable, but also a safety hazard! Our recommendation is to always use hub centric rings! They are pretty cheap to buy, so that's no excuse if any..
Hub centric rings are often made of either plastic or aluminum. 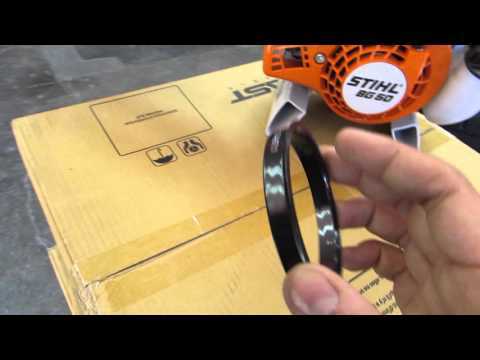 Plastic rings (a mix of polycarbonate and ABS-plastic or just polycarbonate or just ABS) are the most recommended to use, since they won't corrode against the metal of either the rim or the hub. If aluminum rings are to be used, be sure to put a thin coat of copper paste or similar grease before mounting them, or you may find it hard to remove them in the future! Heads up! Remember that plastic rings are made of just plastic, which means they can melt if the temperature gets to high, in example during a "burnout" or something like that, if you race the car at the track! In that case, aluminum rings are a better choice. Also worth mentioning is that hub centric rings are mostly used with aluminum rims (or other alloy wheels), they aren't that common with steel rims, but if there's a gap and hub centric rings can be used, then make sure to use them! Otherwise buy some steel rims with the correct center bore as the car. P.S. If the rim center bore where to be smaller though, than the hub center bore, you'll need to machine the rim center bore to a larger size, which is recommended to be done at a workshop. So, this article has now "come to an end" so to speak, hope you've enjoyed reading it and escpecially learned something about hub centric rings. Spread the knowledge for a safer road ahead! Everyone always asks about these plastic "spacers" or hub rings! So these hubrings are what goes into your rim & then goes on the hub of your vehicle which centers the wheel out to eliminate most vibrations! So these are mandatory for any proper wheel & tire installation! Hubrings are very important. 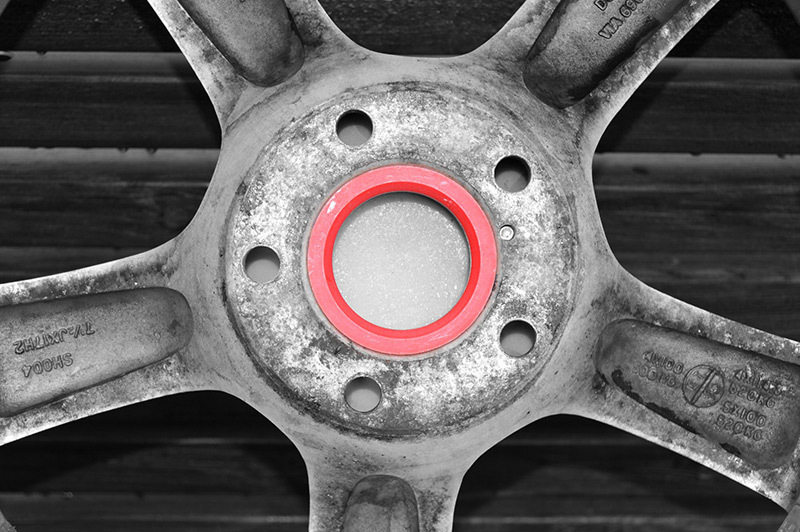 The hub centric ring does what your factory fitting wheel/ rim already does. It helps you center the wheel onto the vehicle via the hub (hub centric) rather than relying on the lugs (lug centric). This may help reduce or solve vibrations or pulsing when braking a lot of people get when they have after market wheels and tires. Wheel center bore & hub centric rings. What are hub centric rings / spigot rings?